The IRAS system: The Integrated Research Application System (IRAS) is an ingenious device whereby a potential researcher can complete several application forms, all required in order to carry out research within the NHS, at one time. “That’s wonderful, why did no one tell me this before” you may cry. 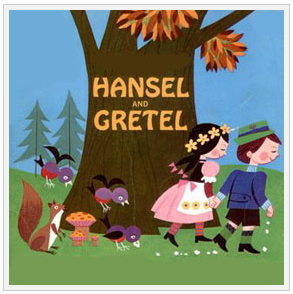 The reason nobody speaks about it is that the pathway through it is strewn with the hopes and aspirations of hapless researchers rather like Hansel and Gretel’s breadcrumbs. Of course, the concept is a good one and, having never been unfortunate enough to apply for ethical approval in the pre-IRAS days, I can only assume that this is an improvement. The problem is, that the more you delve into the process, the more complicated it becomes. The first challenge is to register with IRAS and to complete the on-line training. Looking back, this could be where I went wrong in that I didn’t (complete the online training course, that is) but I took the “I’ll look back at it when I encounter a problem” attitude before throwing myself headlong into my application. some answers and IRAS tells you which forms you need to complete. In my case I needed to satisfy the NHS Research Ethics Committee (REC) and the Research and Development (R&D)group covering the area in which I wanted to carry out the research. So far so good. IRAS then supplies you with the questions you need to cover both forms to avoid duplication and henceforth all should be plain sailing: answer the questions, click the submit button and everyone will receive the necessary information. This is where I realised I should have completed the online tutorial. “Submission” in IRAS-speak does not pass your well-considered replies to anyone, it merely saves them in a form which can then be sent to…… who? We will return to this conundrum later. Just in case you were planning to complete the IRAS forms on a quiet afternoon as a break from the literature review, I feel I should prepare you – there are a lot of questions. Not only are there a lot, there are a lot of “But surely I have just answered that” type of questions. This need not be viewed entirely negatively though as it does give plenty of opportunity to practice your cutting and pasting technique. Another word of warning here, it may well be that your DOS/supervisor(s) wish to “look over” your answers before submission to the relevant bodies. Prepare for several weeks of reminder emails followed by resulting amendments and more weeks of “looking over” the amendments. Obviously, the more over-lookers you have, the greater the delay, but this must be regarded as part of the process and, if it can’t be enjoyed, at least you may learn something from it. Which, can’t be all bad. Submission: I feel at this stage that I must confess to receiving insider information from a former colleague who worked on an ethics committee. I was therefore aware at least of the existence of Local RECs, i.e. the bodies who will review our applications and grant ethical approval to carry out research within the NHS. That’s fine, the REC form is submitted to the local REC and I can sit back and wait for their approval. However, pondering over the submission instructions on the IRAS form, I discover that I need to book an appointment to attend the REC in person for the review. In addition the earliest appointment is six weeks ahead and 30 miles away. There is also the matter of the REC checklist of accompanying documents to be forwarded, which must be submitted within four days of the booking. This begins with a straightforward request for relevant documents such as consent form, protocol, patient information sheet and so forth but gradually becomes more challenging: CV (got that saved somewhere), CV of supervisor (ah, fire off an email), letter from sponsor (who? ), evidence of sponsor’s insurance (whose what?). None of these documents are unobtainable however and eventually can be tracked down with a little investigation. Even the process of obtaining electronic authorisation instead of signatures can be strangely satisfying. In the early stages of this process, I naively believed that REC approval would give me the green light to happily stroll into GP practices and recruit patients for my study. That was before I discovered local R&D approval. In other words, I need separate approval to work in a specific NHS area – hence the R&D form completed through IRAS. We now return to the “submit to whom/where” dilemma. Easy, a bit of Googling provides me of the name of the lead for R&D in the area in which I want to work. This is fine, except the helpful reply to my email tells me that I need to get in touch with the Greater Manchester Comprehensive Local Research Network (GMCLRN) who will be able to approve my application for the area in which I plan to do my study. Oh, and, by the way, I will need an NHS Research Passport form to enable me to work on NHS premises (in that case, what is everything else about? ), copies of which, when completed and approved, need to be sent to the R&D person in every NHS area I may wish to use. That brings me to another point, the very helpful person at the GMCLRN reminds me that I will need a Site –specific form (SSI) for any area I may wish to enter and that I will probably need to cover three areas just in case I cannot recruit sufficient participants from my first choice. At least the SSIs can be completed as an add-on to the IRAS and can be submitted to the GMCLRN, with more additional documents, all in a nicely zipped folder attached to an email. Nearly there now (six months on!). There is, of course, the matter of the MMU ethics application form but, having weaved through the IRAS maze, the MMU ethics form is almost disappointingly challenge free. Just the Research Passport application to deal with now and we’re off! Once I have my Criminal Records Bureau (CRB) check and Occupational Health Clearance my passport will be granted and recruitment can commence! Just the small matter of an ethics review and amendments to consider, but I will leave those for another day………….